Jean-Frédéric Vachon: Hi Adam! Thanks for calling. Adam Grant: Thank you for having me! JFV: I want to start by talking about the band a little. One Bad Son has been together for ten years now. Can you give us a little bit of history on the band? JFV: I can imagine! You guys are touring a lot? AG: We’ve had the last, about three weeks off, but we’ve had a pretty extensive summer tour, playing festivals and shows on our own, and now we’re gearing for about six weeks, all the way from Saskatoon to Halifax and then all the way back to Vancouver. So it’ll be a pretty intense six weeks of touring for us. JFV: That’s cool. Will all these six weeks be with Airbourne? AG: No. I believe only the first ten shows are with Airbourne. We got to Ontario then to Montreal and Quebec City, and then to Halifax. The rest will be just on our own. JFV: Are you going to be making a stop in Montreal on that part of the tour? AG: No, we only go to Montreal with Airbourne. I’m so excited for that show; it’ll be our first time in Montreal so it’ll be kind of a special night for us. AG: I know! It’s been too long. This year is also the first year we mad it to the Maritimes as well. When we moved to Vancouver it just made it extremely difficult to get out East. JFV: Yeah, I can imagine. Canada’s a big country with a lot of distance between cities. AG: It really is. But, I mean, it’s something that we’re really excited about this year too, to go to places that we’ve never gone to. We’ve spent some time in northern Saskatchewan as well. There are so many great music cities in this country. And yeah, they are far apart but it’s worth going to them. JFV: Have you guys played a lot in the US? AG: No, we haven’t done anything in the US yet, but that’s something that we’re looking at for the beginning of next year as well. We’re also talking about going to Australia next year, so next year will be a big one! JFV: Let’s talk about the new album. It seemed to me that the new album is a big step up in term of songwriting, and I don’t mean to say that the others weren’t good, but you seemed to reach a new level on that one. Did you do anything different in the writing process? AG: Well, thank you, first of all. You know, I think some of it is that we had spent so much time playing together and touring that, as a band, we really focused on the songwriting, and that was something we knew we wanted to step up a little bit. I think we turned a few pages with the “One Bad Son” album, but we knew we wanted to capture more our vibe and feeling in the recording. And we focused on writing parts for the songs that would really emphasize that. JFV: You’ve got a song on this album called “The Outlaw Josey Wales” and on the last one, there’s a track called “True Grit”. I gather you guys are big fans of classic westerns? AG: Yeah, we are. I mean, Shane, our singer, who writes all the lyrics, he’s a big western fan, particularly John Wayne. Clint Eastwood too. He has a real affinity for them; I think that’s something he did with his dad, watched a lot of westerns. It was just natural for him to write about them. From what I deduced. That’s kind of the story that I got. JFV: What are the band’s musical influences? AG: Ah man, that’s a tough question. They’re so vast! I think for me on bass, my influences have always been the Chili Peppers and Rage. Those are two bands that I really like a lot. Growing they were quite influential, and still are, on my writing. I mean,w e’re all huge Zeppelin fans, we’re all huge Who fans, Metallica, Guns ’n Roses, Soundgarden, Pearl Jam… lots of ’70s and early ’90s I would say. JFV: How did you decide to cover the Talking Heads’ “Psycho Killer”? AG: That’s actually kind of an interesting story. When we started as a band, it was always mandatory to play covers live, and it’s not that we didn’t like doing it, but we always preferred putting emphasis on our original music, so we used these covers as sort of a tool for our live set. Something that people will recognize and latch on to. So we were looking for songs that would be interesting to do, and I think Kurt suggested “Psycho Killer”. We listened to it and it was such a weird song that we felt it’d be cool to sort of re-invent it. As we played it live it kept evolving and when we did the record, it was something we debated as far as should it be included or not. And in the end it just made sense, and it fits the vibe of the record. JFV: How’s the reaction been to the album so far? AG: It’s been really good and positive. We haven’t really done a ton of touring since it’s been released, so I think this stretch of six weeks will be really important, to get out there and gauge reactions, and to play the songs to people who may not have had the chance to hear them. You know, it was released and people can get it on iTunes, hear it on Facebook, but otherwise people don’t really know about. So live shows are important to get records out like that and get people listening. JFV: What’s your favourite song off the new album? AG: Ah, that’s a tough one. JFV: That’s like picking your favourite kid! 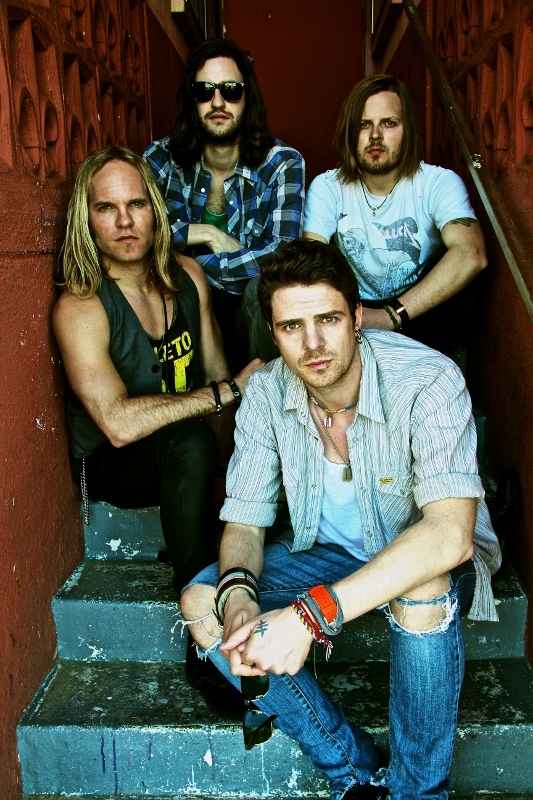 JFV: There seems to be a big surge of Canadian rock bands at the moment. 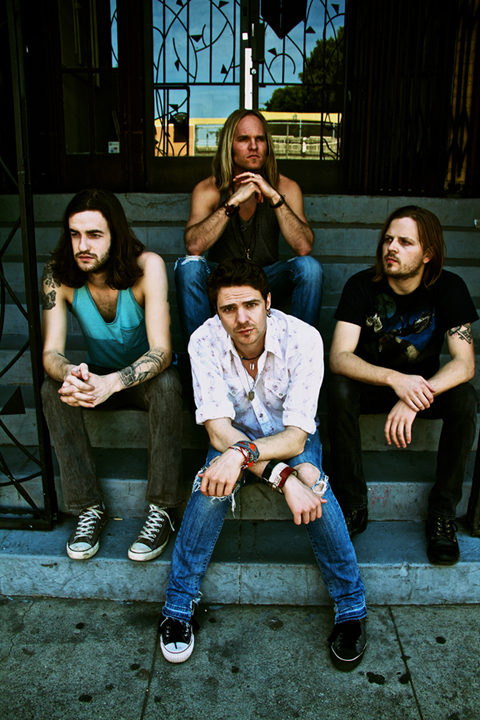 Bands like yours, The Trews, Monster Truck, Sheepdogs, Glorious Sons, Last Bullet and more. Do you feel a good old rock movement across the country? AG: Yeah, I definitely think so. There’s so many good Canadian bands right now, that there’s definitely something like that going on. I think everybody… I don’t know how to explain it. There’s a lot of great bands, but there’s also a lot of great fans that are willing to come out and support bands like that. All of those bands, we can write and play live as much as we want, but if no one came out to hear it we wouldn’t have any way of doing this and support ourselves. I think there’s a shift in scene, and rock music is really important in that. I think that’s a big reason why a lot of the bands that you’ve mentioned have been successful. JFV: Recently, Gene Simmons of KISS made headlines by declaring that rock is dead. I guess you don’t agree with that? AG: Yeah. I think it’s been declared dead ten times in the last forty years. I know that his words got taken kind of out of context, I think he meant that it’s now hard for bands to make a living, to make money, which to a degree is true, but, I mean, it’s been the case for a long time, and I don’t think it’s suddenly got worse in the last month than in the last years. I think, if anything, there’s a lot of bands that are writing a lot of really good music, you know? I don’t think the art side of it is dead at all. The business side, it’s been struggling for a long time, but I don’t think it’s gonna stop anybody. JFV: Maybe he should have said that the rock star is dead? Maybe that’s more what he’s referring to. AG: Yeah, I totally agree. And to be honest, I think he played a large part in the killing of it. It was so inflated and so exaggerated for so many years that there was no way it could survive. Being a rock star has become such a cliché that many bands are just distancing themselves from that. It’s an old thing and everybody’s tired of it. JFV: While I was researching the band to prepare for this interview, I found an interesting fact: your drummer is an entertainment lawyer! That must come in handy? AG: Yeah, he is, and it has come extremely handy at times. I think he saved our hides on more than one occasion. When we lived in Saskatoon he just studied law and he’s been able to meld the two worlds together. In fact, he has a site right now called lawyerdrummer.com where he offers a lot of legal advice to bands, and I think that’s invaluable! When you pick up a guitar or a drumstick or whatever, I don’t think you really think about what it’s going to entail as far as the legal side goes. Lots of times people aren’t prepared on that side, so he does a pretty good job of informing. JFV: Thank you very much for taking the time to talk to me! AG: Thank you Jean-Frédéric, I appreciate it very much. JFV: Good luck with the tour, I’m looking forward to the show in Montreal. AG: Yes, see you guys on the 16th! One Bad Son will play the Corona Theater (2490 Notre Dame West) with The Glorious Sons and Airborne on October 16. Tickets are available at evenko.ca. Check out Jean Frederic Vachon’s site at Diary of a Music Addict where he covers shows, albums, and so much more.